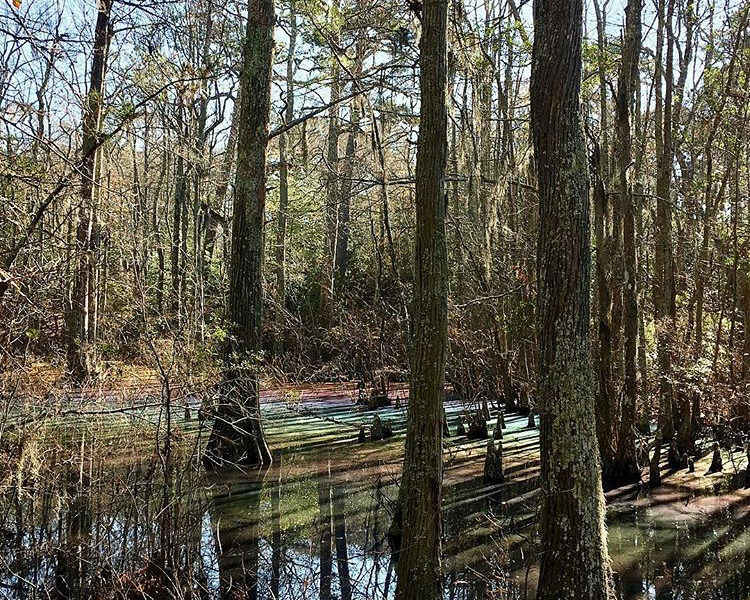 The Bald Cypress Trail is a 1.5mi loop at First Landing State Park. Park at the visitor’s center at the Shore Drive entrance, and the trail begins just behind the building. 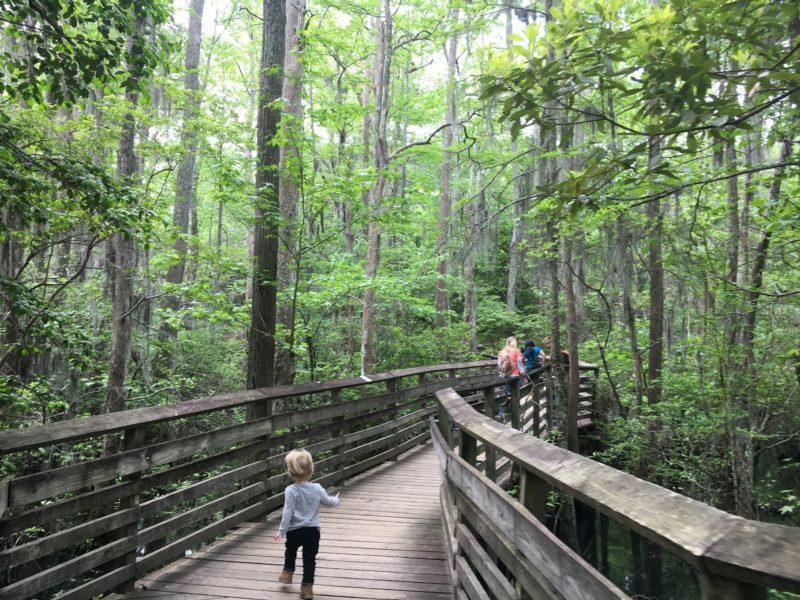 This is a great trail for little hikers with lots of boardwalk view of the swamp and a really cool fallen tree along the way (it’s fallen up a hill and still growing strong!) Be sure to pay attention to signs and bear right at the turns as you hike, to avoid ending up on the Osmanthus trail by accident. Rough terrain makes this best for feet or carriers. Be prepared to encounter bugs and snakes if you hike in the summer. Parking fee is $5 for Va residents or $7 in peak season. Enter from Shore Drive; signs for trail center.